For another consecutive year in its controversial certification process, the State Department has found that the Colombian government and its armed forces are meeting statutory criteria related to enforcement of human rights standards. This certification was awarded by Washington last month, when it claimed that the “Colombian government has made significant efforts to increase the security of its people and to promote respect for human rights by its Armed Forces.” This statement was challenged by many independent bodies, including COHA, as being devoid of legitimacy. The certification award irked human rights defenders and critics of the Uribe administration in Washington and Bogotá alike because it failed to correspond to reality. The dispute in Washington’s findings arises, in part from the current situation in Colombia, where the government is entering one of the most difficult periods since President Uribe entered office. Scandals over the involvement of the Armed Forces in brutal human rights abuses and a variety of outrages by pro-Uribe paramilitary groups continue to rock the country. Considering the woeful status of human rights observance in Colombia, and the initiation of a slide in Uribe’s popularity, it is easy to misinterpret the certification as an accurate representation of the current status of the country rights adherence; rather, it is a mark of Washington’s geopolitical interest in the region. Bogotá aggressively tells the story that it has become Washington’s most reliable military and political ally. This may be so but it has been at the expense of its relations with Venezuela. As a result of the Colombia-U.S. military base agreement, President Uribe has claimed in recent weeks that Caracas has enacted an illegal and unjust embargo on Colombian goods, thereby disrupting the country’s economy. Uribe’s allegations are evidenced by a 56% decline in exports to Venezuela over the past year. As it now stands, Venezuela is demonstrating the greatest opposition to the military base agreement. The country has perceived the growing U.S. military presence in Colombia as an act of aggression to its sovereignty and security. Consequently, this new agreement is causing pro-Chávez countries such as Bolivia, Cuba, Nicaragua, and Ecuador to display their sympathy for Chávez’s bellicose language against Colombia, Panama, and Peru as well as the U.S. for its wavering position on the legitimacy of the de facto Honduran government. This feeling of the menace being posed by the U.S. is being strengthened by the just-announced intention of the pro-U.S. Panamanian government to build naval bases on islands off its shores, with indications of U.S. cooperation. Yet another manifestation of the Colombia-U.S. alliance is Bogotá’s action in following the U.S. tact in its unquestioning acceptance of the Honduran election results. This resolve on Colombia’s behalf has isolated itself further from the rest of Latin American countries. Yet again, Colombia is blindly following the U.S., rather than determining its own foreign policy. This acquiescent attitude has, in part, allowed Washington to install seven military bases on Colombian territory in order to support counternarcotics and counterinsurgency efforts. In the present climate of growing discord in the region, particularly the deterioration in Colombia-Venezuelan relations, Uribe’s right-wing administration faces a huge dilemma in maintaining even minimal ties to left-leaning countries in the region. Through the years, different countries and organizations have adopted a series of regulations relating to the distribution of economic assistance contingent on human rights performance by a given nation. The intention is to make significant improvements in the human rights records of targeted nations. This practice was codified in the 1970s with the “Leahy Law” and with the Human Rights Certification process. However, the U.S. has repeatedly turned a blind eye to human rights abuses when a given nation is viewed as being strategically important to U.S. interests, especially in furtherance of its economic and military goals. In the case of Colombia, the U.S. has sidestepped the standards of an accurate assessment of human rights abuses in favor of meeting its strategic military-related goals. Regardless of the current human rights situation in Colombia, a decision was made several years ago by Washington policy makers to automatically minimize the latter’s record of abuse. Colombia is presented as a relatively observant human rights nation in order for Washington to justify its continued assistance to Colombia. This is because the country is viewed as being important to both the Pentagon and the Drug Enforcement Administration (DEA). Since 2000, the U.S. Congress’s ability to disburse funds from “Plan Colombia” has been conditioned upon an affirmative human rights certification. The State Department must consult with Colombian and internationally-recognized human rights organizations regarding progress towards meeting the requirements contained in section 7046(b) of the State Department, Foreign Operations, and Related Programs Appropriations Act of 2009. To adhere to this stipulation, the State Department must submit a written report of certification, which would recommend or oppose a contingent appropriation of 30% of the military aid for “Plan Colombia.” Bogotá has been the hemisphere’s largest recipient of U.S military aid since 2000, in a continued effort to fight terrorism and narco-trafficking. Through the nine years of the agreement, Colombia has been granted a favorable report allowing it to receive the funds allocated to it. When the U.S. Congress passed the certification legislation, it mandated that the State Department can only issue a positive report on the condition that the “Government of Colombia and its Armed Forces are respecting the human rights defenders, journalists, trade unionist, political position and religious leaders, indigenous and Afro-Colombian Communities, and the Colombian Armed Forces are implementing procedures to distinguish between Civilians, including displaced persons, and combatants in their operations.” In practice, applying the standard to the reality of the current situation in Colombia would all but rule out granting the funds. The controversy surrounding Colombian officials and their links to notorious paramilitary figures should cast additional grave doubts upon the legitimacy of what otherwise has been a perpetually flawed certification process. One of the most recent national scandals involved 44 Colombian congressmen who allegedly have been linked to a number of paramilitary groups, as well as numerous charges of extrajudicial killings carried out by the Armed Forces (members of which have yet to be brought to trial). They have also been linked to a series of illegal domestic wiretapping and surveillance incidents carried out by the Department of Administrative Security (DAS). Recent rises in the murder rate of Colombian trade union leaders (after a period of decline), and the increasing numbers of internally displaced people, due to persistently high levels of violence (mainly at the hands of the security forces and the paramilitaries) only serve to reinforce Colombia´s macabre image as one of the hemisphere’s most egregious human rights violators. These incidents, among many others, demonstrate that today Colombia hardly meets even the minimal human rights certification criteria, even if it has made isolated efforts to protect the security of its citizens and has achieved some reductions in overall rates of violence. Colombia needs to execute deeper reforms to promote equality and systematic justice in the country, in order to reduce high levels of poverty and inequality in the areas most effected by illicit drug trafficking and armed conflict. These reforms would certainly help to curb a universal culture of impunity, and the injustice that has permeated Colombian society and has provoked internal social conflict for over four decades. The certification document that was presented most recently by the State Department to Congress enumerated the advances made by Colombia in reducing human rights abuses; however, the report was unable to demonstrate marked improvement in the overall advance of societal order in the country. Furthermore, it is unable to make the case that Colombia´s ill-reputed judicial system has improved its ability to prosecute and punish criminals, especially when members of the Armed Forces routinely commit inconceivably brutal abuses against innocent civilians. Impunity also continues to stymie many cases involving human rights abuses. As a result, many victims have been left completely lacking faith in the country’s judicial system. Impunity is often the fundamental explanation why some afflicted individuals take the law into their own hands, rather than appealing to the authorities. This lack of justice only serves to perpetuate the cycle of violence in Colombia, and makes prospects of bringing about peace and security in the future seemingly all but impossible. “False positives” brought to the forefront one of the most shocking human rights scandals in modern Colombian history. In this case, the Colombian Armed Forces were at the center of the scandal. ¨False positives¨ were carried out when unemployed young men were promised jobs by the armed forces and, after arriving at some distant location, were then systematically murdered, with the military later insisting that these individuals had been members of some FARC unit. The bodies of these innocent civilians were then turned into government officials who rewarded the military for killing these enemies of the state, when in reality they were innocent of any crime. For the past six years, Colombian prosecutors have been conducting criminal investigations into the activities of 1,603 military personnel allegedly involved in the “false positives” scandal. Investigators estimate that these individuals executed more than 800 victims from different parts of the country. According to a report issued by the United Nations, these killings disproportionately targeted impoverished rural inhabitants, indigenous groups, Afro-Colombians, trade unionists, human rights defenders, and community leaders. The Soacha massacre singlehandedly triggered a worldwide repugnance to the extrajudicial killings. Colombians were offended that the Armed Forces had perpetuated such violence against their own people. Popular outrage over the incident forced the Uribe Government to take on the issue of “false positives” with greater seriousness. However, even at this late date, only 11 soldiers have been prosecuted for the Soacha murders. The Commander of the Armed Forces, Mario Montoya, gave up his command in November 2008 after accusations that he was involved in the Soacha scandal. Most likely to get him out of the country, Montoya was later designated to be the country’s ambassador to the Dominican Republic by President Uribe. Even if the investigation into the Soacha murders allegedly remain a priority within the Colombian judicial system, the case exemplifies the impunity and ineffectiveness of Colombian authorities in carrying out the mandate of its supposed democratic system. Between June 2008 and June 2009, only 31 military personnel, out of the hundreds charged with human rights abuses, have been sentenced for such crimes. This evidence of a seriously impaired prosecution record points to the routine evasion of justice. According to U.S. certification documentations, between 2002 and 2009, the estimated number of human rights victims of the armed forces ranged from a conservative, estimate of 551 people, to a significantly higher figure offered up by NGOs of 1,142 people. Philip Alston, a Special U.N. Reporter on extrajudicial executions, visited Colombia this past June. His first conclusion was that “the quantity of cases, the geographic area it covers, and the range of military units involved, indicated that these murders were perpetrated in a systematic way, by a significant quantity of military personnel.” He also affirmed that the Colombian system of military justice undermined the belief that cases of human rights abuse must be sent to civilian courts. Unfortunately, the investigations into extrajudicial killing cases proceed in an agonizingly slow manner. The Prosecutor General’s Office lacks sufficient resources and personnel to prosecute the plethora of human rights abuse cases in Colombia. As a consequence of these normally protracted proceedings, abuses and crimes take place in the country almost without fear of retribution. If it is to be taken seriously as a human rights factor, the U.S. government must maintain a more comprehensive approach to aid to Colombia. It must recognize that the country not only requires assistance in its fight against drug trafficking and guerrillas, but it also must have the resources and consul to create an effective and truly independent judiciary system. There are many forces in Colombian society who are prepared to disturb the country’s civic order. The authorities have rarely taken adequate responsibility for their actions. Facing these challenges head on must be the preferred tactic to eradicate the roots of violence that characterizes Colombia’s many problems. Additionally, on the issue of impunity, one must consider the untried murders of union leaders. Colombia has the world’s highest murder rate of trade unionists, with more than 2,700 victims in this category that have been killed since 1986. Since 2002, there may have been a temporary reduction in such fatalities, reflected by nearly an 81% decline. Although the reduced figure appears impressive, there is a huge amount of work left to do as evidenced by a recent spike in the number of labor figures who have been gunned down. With these startling statistics, it is no wonder that Colombian workers often fail to take a stand in defense of their rights, partly out of fear that this could endanger their lives. The murder of unionists has been a major sticking point in U.S.-Colombian relations, with these cases helping fuel the arguments of those opposed to the pending bilateral Free Trade Agreement. In the hope of improving Colombia’s image abroad, the Uribe administration and the Prosecutor General’s Office have formed a special group of professionals whose mandate is to investigate unsolved cases. Even with the creation of this group, to date. 96% of trade union cases have not been investigated. At the present rate of progress, it would take nearly 37 years to consider all the unsolved cases. Even if the courts are able to establish that many of these atrocities can be attributed to the Colombian Armed Forces, there is no doubt that the majority of them were committed by the paramilitary forces. Traditionally, paramilitary troops have viewed unionists with hatred, assuming that they are collaborating with the FARC, and routinely have used violence against them. 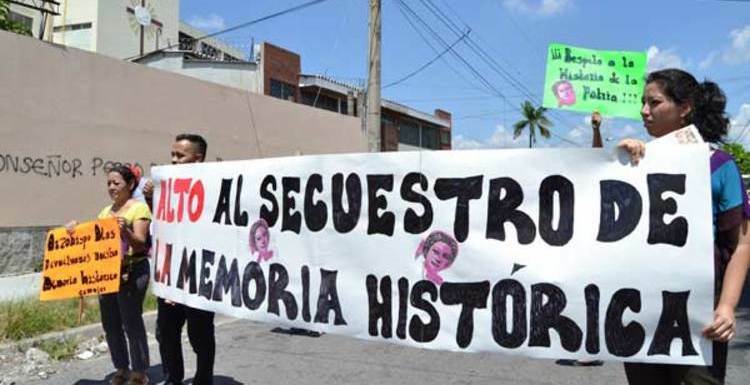 Sadly, these trade union murders will most likely go unpunished due to the “Ley de Justicia y Paz.” This Uribe initiative reduces sentences given to ¨ex-paramilitaries” in return for guilty pleas and prison sentences. Uribe’s attitude to antiseptic charges that carry with them cosmetic sentences has been highly criticized by the vast majority of human rights defenders because of the lightness of its punishments directed to the delinquents. The magnitude and horror of the crimes historically committed by paramilitary forces against innocent civilians requires society to obtain meaningful compensation and prison sentences for the suffering of the victims. So far, Uribe´s plan has failed to adequately match the severity of the paramilitary´s atrocities with stiff punishment. Human Rights Watch argues that the attempted demobilization process of paramilitary members has failed to achieve the government’s expected result. Instead of atoning for the crimes they committed, many paramilitary personnel are still active, with new groups continue to surface every day. These newly formed forces implement the same practices as those in the past, such as threatening civilians and killing innocents. Many have been uprooted from their homes and removed from their lands, adding to the country’s huge displaced population. Colombia has the world’s second largest number of internally-displaced people, second only to the Sudan. Recent statistics indicate that more than four million Colombians, nearly ten percent of the population, have been displaced since 1985. The Colombian Government insists that the country is winning the war against the FARC, and that tens of thousands of rightist paramilitaries have been demobilized. But in remote areas, guerrillas as well as re-armed paramilitaries are once again battling for control of drug trafficking routes, forcing even greater numbers of people to leave their land. Human rights defenders, however, adamantly refute the supposed facts that are cited by Colombian authorities. In Colombia, the oppression directed against these advocates worsens daily. 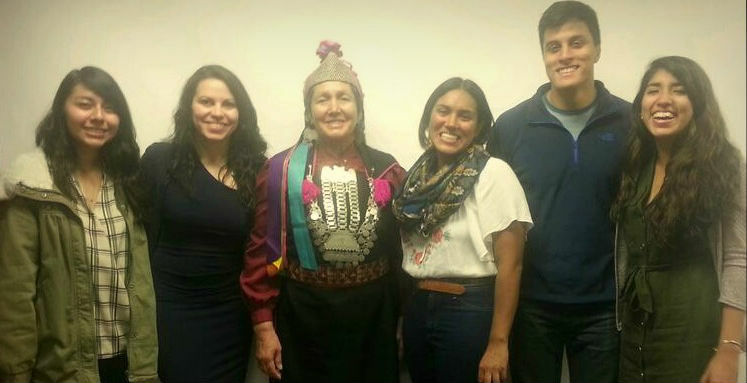 Recently, Margaret Sekaggya, a U.N. Special Reporter on the status of human rights defenders, reported to the U.S. House of Representatives on the delicate situation of human rights defenders in Colombia, many of whom are surrounded by stigmatization and close oversight by the authorities. Sekaggya encouraged Congress to demand that Bogotá cease its persecution of human rights defenders and order the judiciary to investigate their allegations. Some high-level government and military staff insist that human rights defenders, sullied by their relationships with the FARC, have leveled false charges. Those allegations usually are published, with the goal of tarnishing the activists´ reputation. Considering that 44 Colombian congressmen are currently being prosecuted due to their relations with paramilitary groups, it is easy to conclude that impunity runs amok among government elites. Is Certification a Signal that Colombia Will Obtain FTA approval? The recent certification approval represents more than a step towards improvement in human rights. In Colombia, it signals the opportunity to elevate already good relations with United States to a new level. For the government and the economic sector, the certification is very meaningful indeed. The act renews once more the Colombian government’s budding hopes that the Free Trade Agreement (FTA) with the United States will be approved without further hindrance. Despite strong opposition to the agreement in the U.S. Congress, Colombian authorities remain confident that the establishment of a new agreement will greatly benefit them in the near future. A benevolent and rather naive interpretation of the implications of the most recent certification might suggest that the U.S government truly believes that Colombia has made enough improvements in human rights to warrant approval for the pending bilateral free trade agreement between Washington and Bogotá. Through certification, the State Department hopes to justify improvements in security and human rights. At the same time, it also emphasizes its worries about the systematic extrajudicial killings of civilians by the military, as well as the illegal wiretapping being carried out by the Colombian Intelligence Department (DAS). But in the total barrage of rhetoric coming forth from different U.S. agencies, there is no doubt that the Obama administration, like its predecessor, will allow no objective human rights problems to impede Washington’s alliance with Colombia. Nevertheless, considering the gravity of these abuses, the most rational decision would be to deny certification to Colombia. Oddly enough, the opposite consistently has happened. Colombia indeed received certification, as it has for nine years in a row. For many, it is easy to conclude that the U.S tends to advance its own national and narrowly defined strategic interests instead of fully carrying out its professed goals of protecting human rights abroad. As a result, the certification could be interpreted as the first U.S. payment for Bogota’s authorization of its use of seven new, military bases scattered throughout Colombia. Not surprisingly, the second anticipated payment will be the White House’s approval of the pending FTA. Even though in the past Obama has utilized the pending FTA with Colombia as an opportunity to ensure the improvement of human rights in the country, veering off course in order to advance the prospects of a bilateral FTA, it of course badly wants the agreement. Today, the Obama administration has been caught up in a tangle of confusion over the proper course relating to free trade. Effectively, it is ready to let down unionists and human rights advocates alike, whose hopes of advancing legitimate protection for Colombians from their own government have been thwarted. It is of critical importance that the Obama White House demands real evidence of change and progress before moving the Colombia FTA forward. If Washington´s real goal is to help Colombia rather than service its fleet, it must avoid falling prey to false notions of improvements, and rather demand tangible progress. Throughout the eight years of Alvaro Uribe´s tenure as president, the main challenge to his country’s economic policy has been the approval of the free trade agreement with the United States. Uribe hoped that the FTA would become the trademark of his presidency. The Colombian President and his collaborators have been doing the impossible, because this is what they wanted all along: they have been able to convince Democrats that Colombia’s improvement in the human rights arena has been impressive. However, as with all social change, it will take Colombia a good deal of time in any respect to truly realize the full extent of the shortfall from its human rights goals. By prematurely lauding Colombia’s improvement in its human rights performance, which would qualify it for FTA status, the Obama administration has made a grave error. For the U.S. to be relevant to Colombia’s democratization process, progress must be measured objectively, with the goal of achieving an arrangement that proves mutually beneficial to both countries, in which back-room political discussions having no place in the FTA debate. The devious trajectory of the certification process in Colombia has served to muddle the real human rights assessment that this certification should reflect. For now, it is simply an equitable green light from the State Department to disburse the remaining aid for 2009 Fiscal Year for “Plan Colombia”. It is time for the U.S government to employ the certification process and “Plan Colombia” as tools for inspiring cooperation and ensuring that true human rights progress, and not just meaningless prattle. The State Department must emphasize to Bogotá that rampant impunity will not be tolerated. The positive influence that the United States can have in reforming the Colombian judicial system is potentially much more valuable than the aid to its demonstrably tainted armed forces. If the Colombian justice system possesses the goodwill and capacity to process human rights crimes, then the Uribe government might be able to recover public and outside confidence in its capacity to operate with justice and end impunity. Colombia needs more time to build new institutions and rehabilitate malpracticing old ones. The United States, for its part, must ensure that the country does not sidestep human rights abuses to procure at any cost, an ill-deserved free-trade agreement, with the stakes being too high for this mismanagement to occur unmonitored. If the United States can look beyond free trade, then maybe the government can truly work towards helping Colombia develop a foundation for the long-awaited peace its people have sought for decades, and who will expect nothing less.